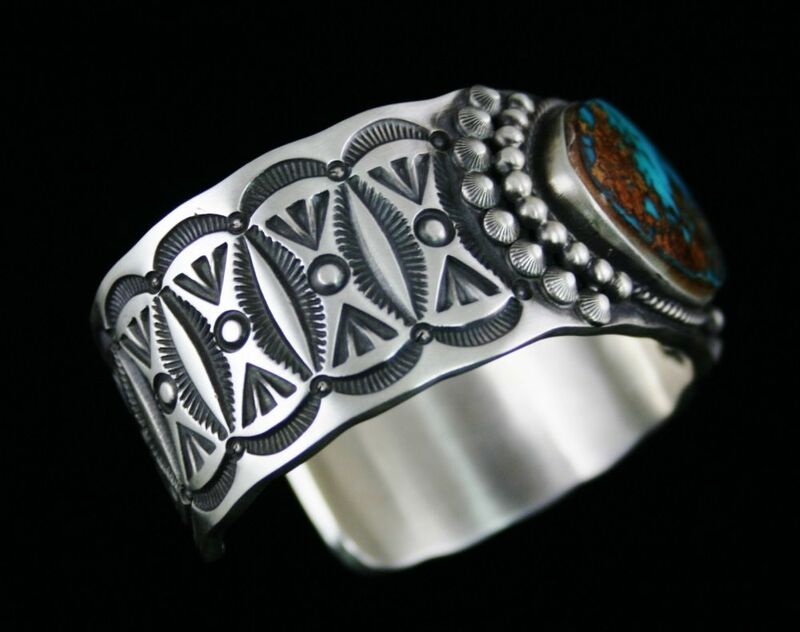 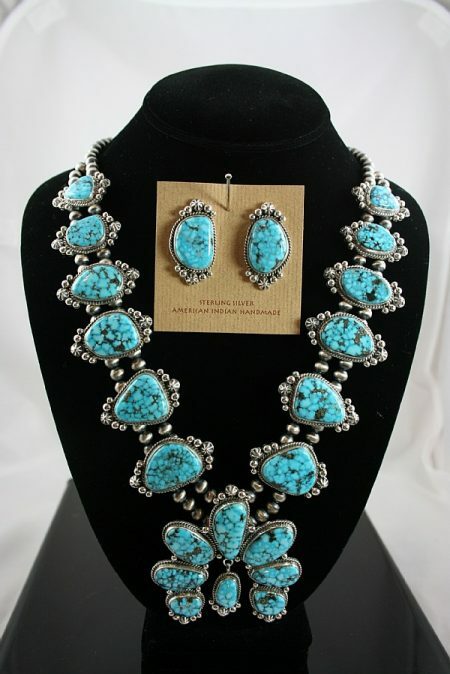 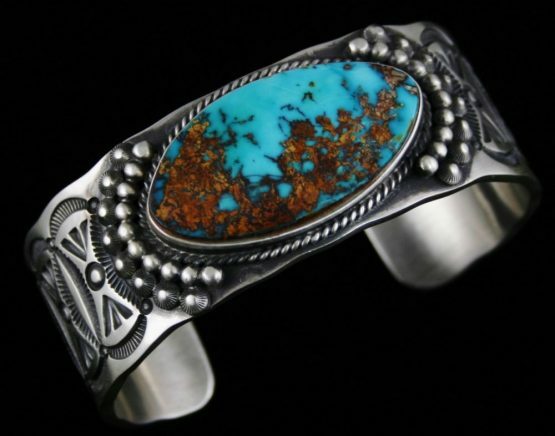 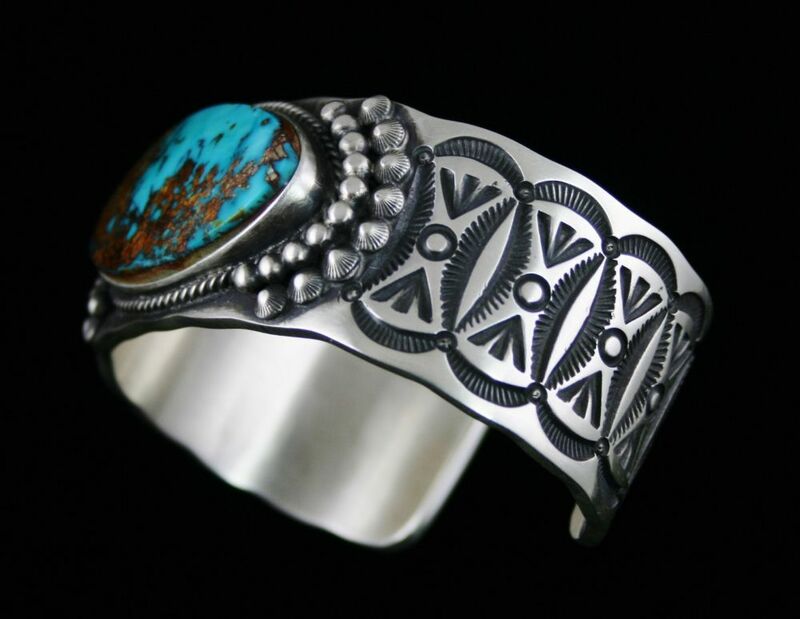 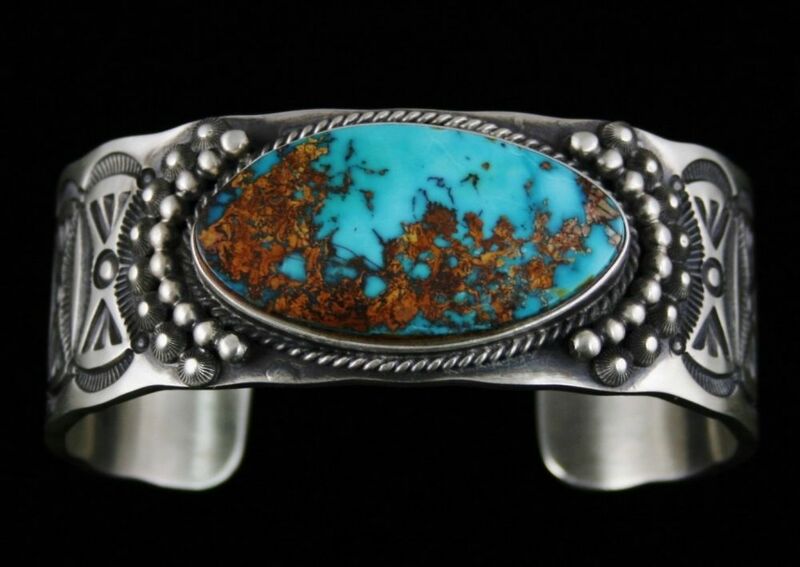 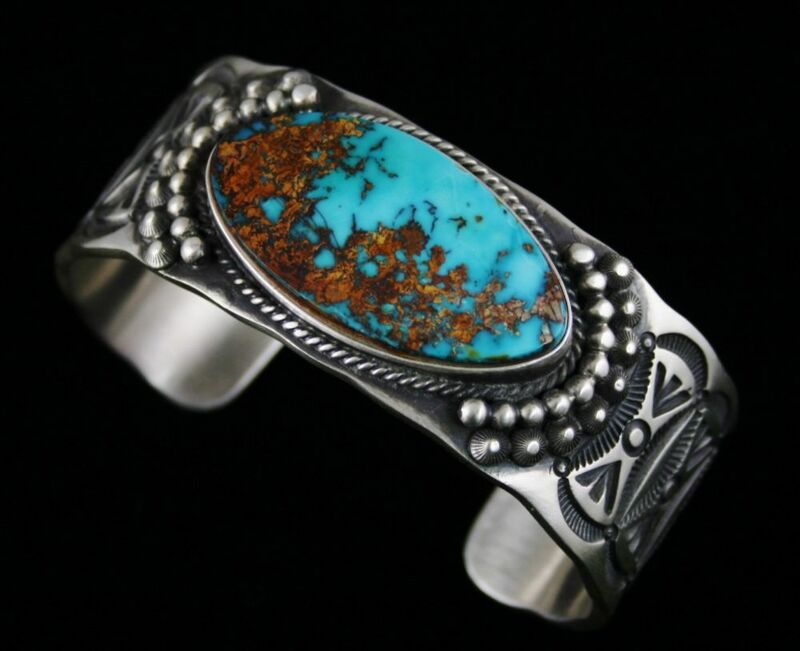 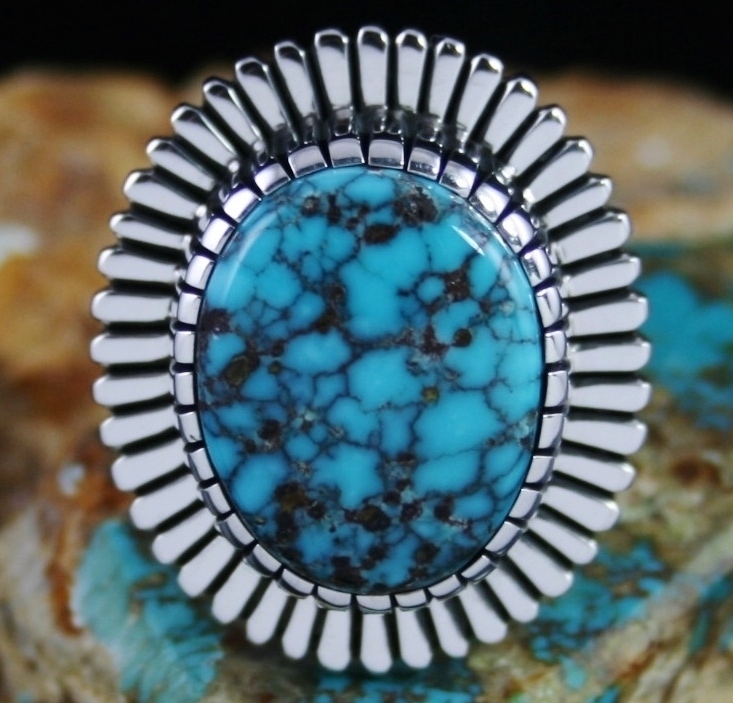 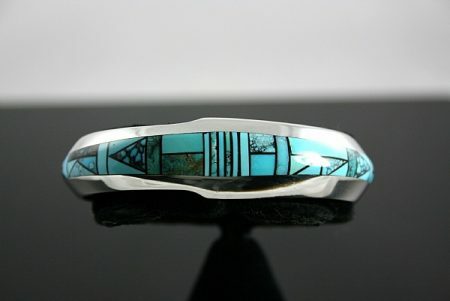 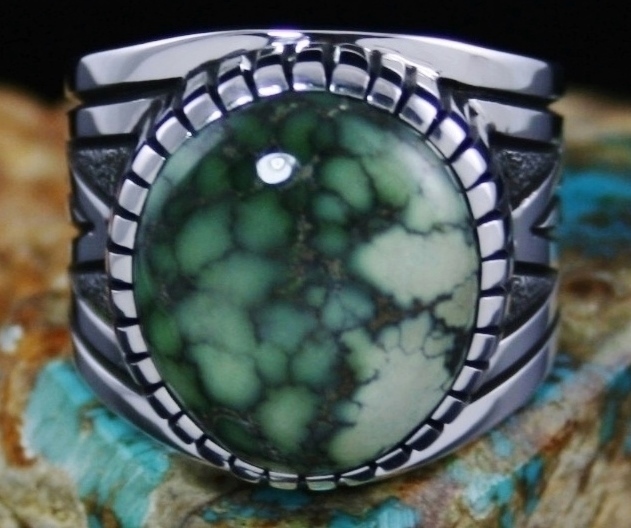 A large and striking gem grade natural Pilot Mountain turquoise sits atop this striking bracelet by Herman Smith. The gem is deep translucent sky blue with red and gold host rock matrix, electric and dazzling! 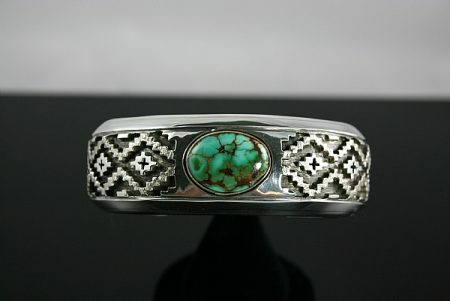 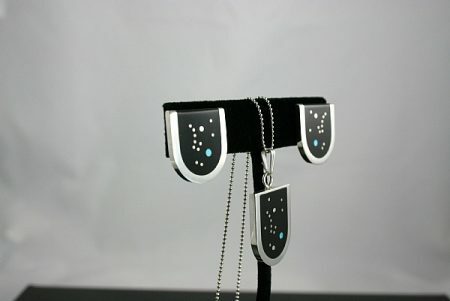 It is set in a hand made bezel encircled with twist wire and a border of droplets and stars atop a thick ten gauge shank. 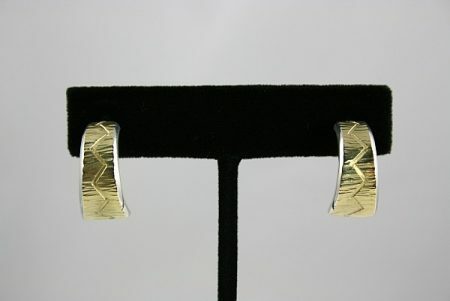 The shank is beautifully stamped below the setting. 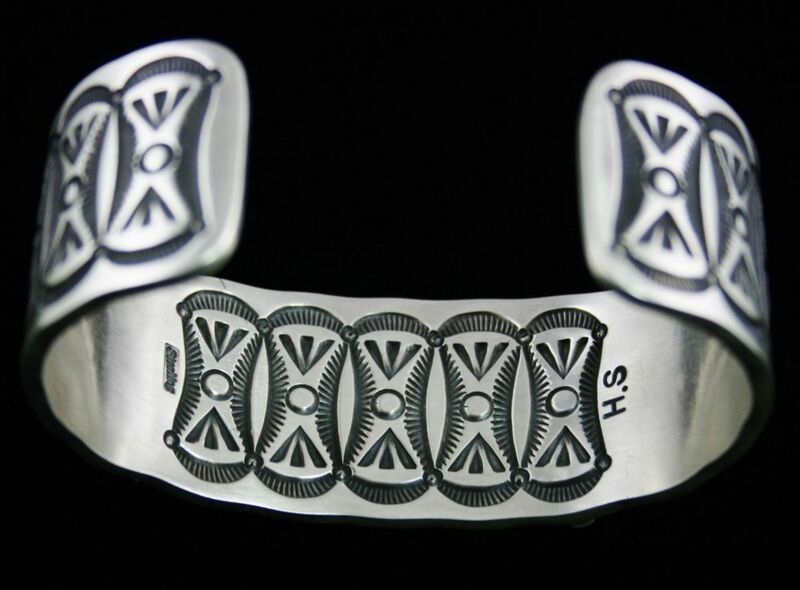 Deep stamping matches on the inside to perfection. 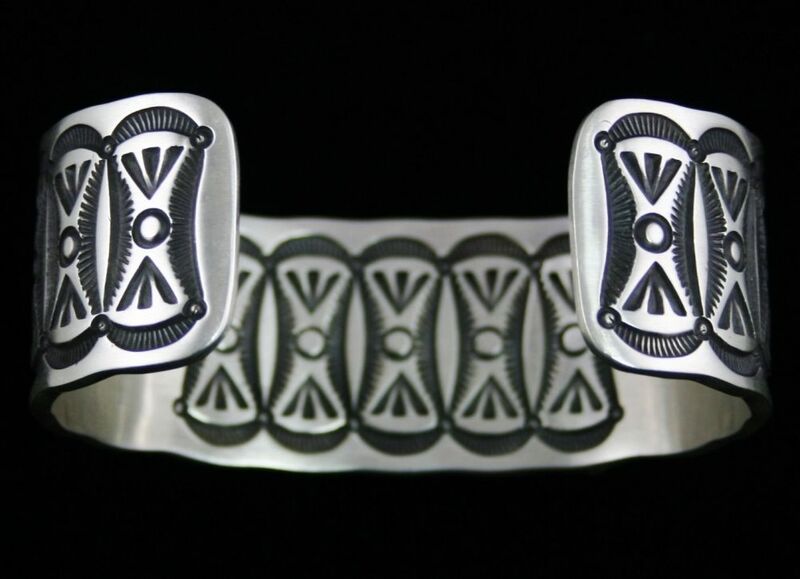 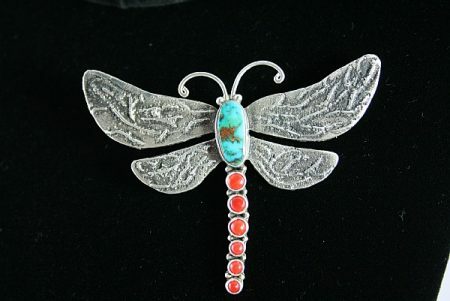 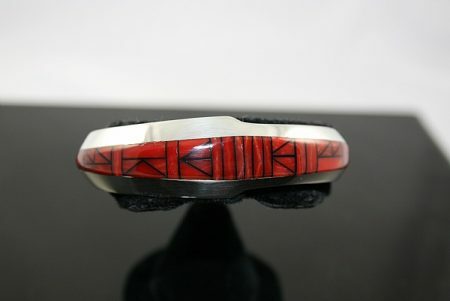 Elegant and gorgeous this incredible piece hand fabricated by award winning Navajo artist Jim Harrison features amazing gem quality Mediterranean coral inlay separated by thin strips of onyx. 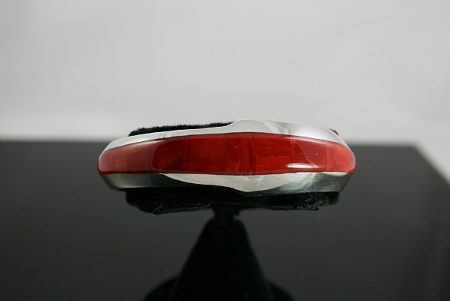 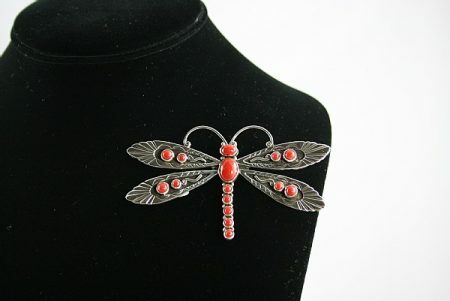 The gem grade coral is an absolutely stunning deep red smooth to the touch. 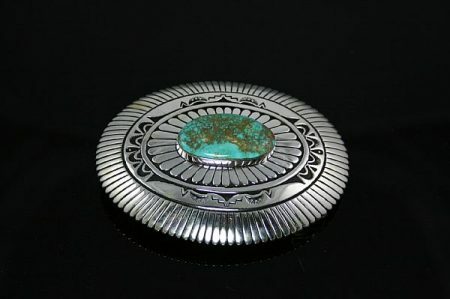 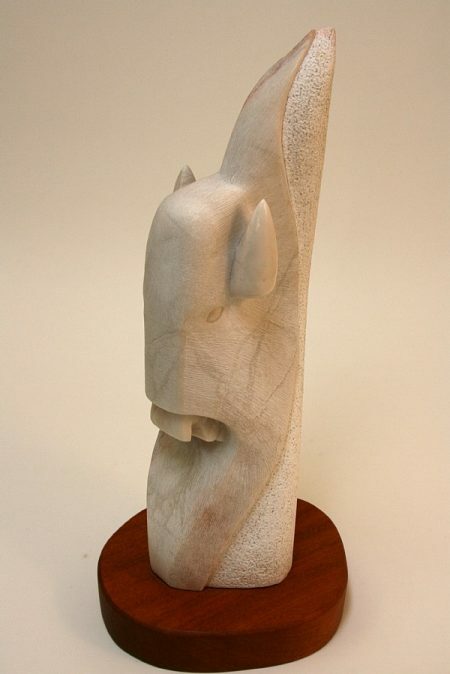 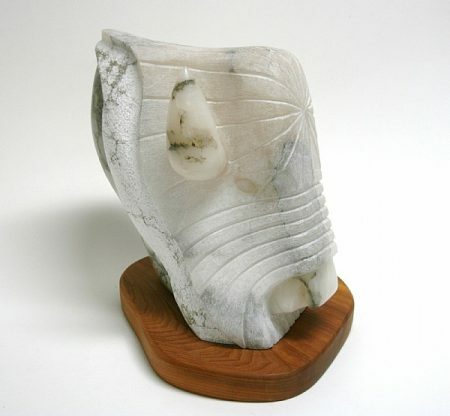 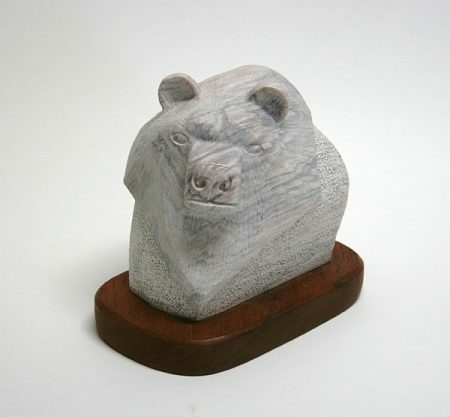 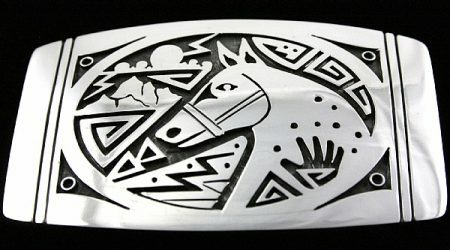 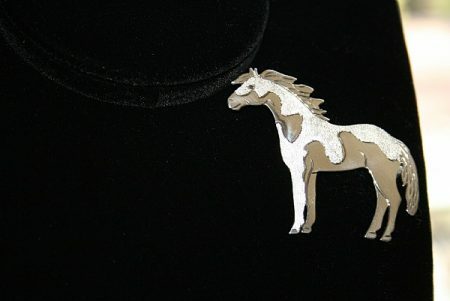 The item also features an exceptional contemporary style with flared edges toward the center of the piece.